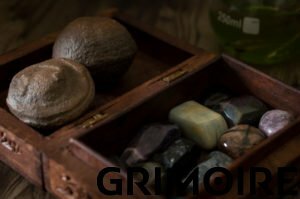 Welcome to Grimoire! An online store based in melbourne, specializing in tools to everyone’s spiritual path! Be you a Witch, Shaman, Energy Worker or just an individual with the love for crystals. And to stay up to date with any happenings, head to our socials for all the latest sales, news and weekly readings! At this time, Grimoire does not do psychic readings but will be doing them sometime this year! For now you can come and learn some magick bliss in our workshops, or come and see us when we hit some amazing markets this year! Hi there, my name is Luke, i’m a leo/virgo and hate long walks along the beach. I started Grimoire back in august 2018 but have been wanting to do this for many years and had finally got the push i needed to embark on this path! Grimoire is a one witch show! I run this store by myself and have the help of an amazing friend when i get big shipments of stock! I am an umbrella of things that encompass to who i am today! I have been actively standing in my empath self since i was a toddler and had a strong connection to spirit at such a young age. I have spent 12 years honing my craft and 20 years helping those in spirit. I believe that through spirit and the tools we use in our day to day, that we can help shed the past and heal what was to make a bright positive future! Bringing self awareness and connection to spirit to new heights and elevating ourselves to be our best authentic self. Our true, divine self! I run Empath Empowerment workshops, group and one on one, helping empaths to open themselves up to their amazing gifts, learning to use them and how they can move forward in their life to the fullest without feeling like they are carrying such a big burden! I also teach different forms of healing, i also am a reiki practitioner and help others with spiritual/psychic development. So do keep those third eyes open for the many workshops that will be run this year! Spots are limited and fill quickly! I’m a sass-pot of energy, i believe in using humour to open up the wounds to heal, never take life too seriously, when we do, we miss the small things in life that fill our soul to the bigger picture! Life is to be enjoyed! To be on a journey to great things! Amazing things! The first step to standing in your power and grow is to be aware of self then everything around us. We are spiritual beings having a human experience. Embrace who you are, and open your world to endless possibility!